13 Main Street, Deer Isle, ME. Mozelle: Fold-formed, enameled copper/sterling links, chain, & clasp. Mozelle: Sterling silver, 24k gold Keum Boo. Approx. 3" x 4.25"
Tandem Ceramics: Handmade Porcelain and 22k gold coffee drippers. Meredith Host: Porcelain Scalloped stacking dishes. 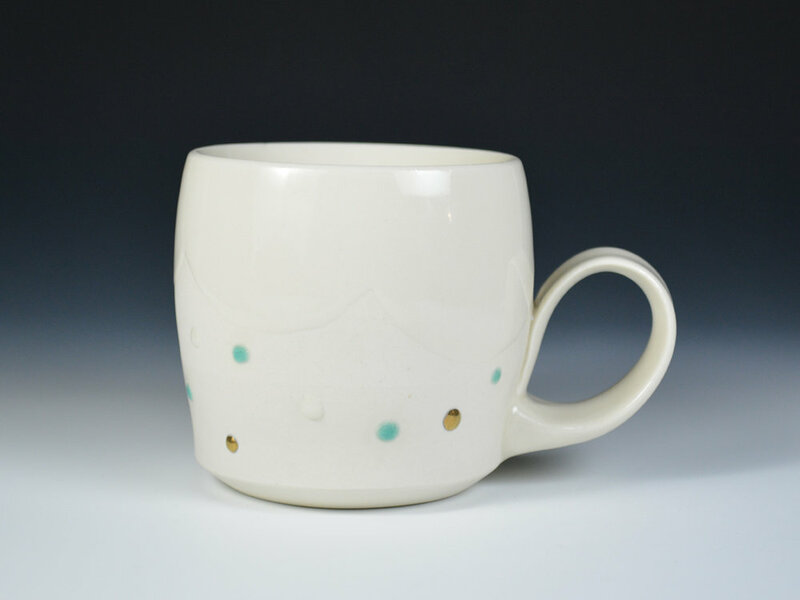 Mynthia McDaniel: Cloud Series porcelain cup. Erica Moody: Stainless and copper hand forged ladle.